Enriched with shea butter, eucalyptus, oatmeal and ceramides, First Aid Beauty Ultra Repair Cream (56.7g) brings immediate comfort to tired, itchy and flaky skin. 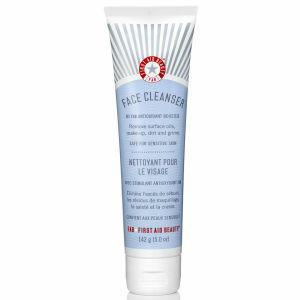 Better still, the antioxidant element of this moisturising formula also provides protection against free radical damage. This body and face cream is ideal for anyone who suffers from allergic eczema, psoriasis, atopic dermatitis and many other minor skin irritations. 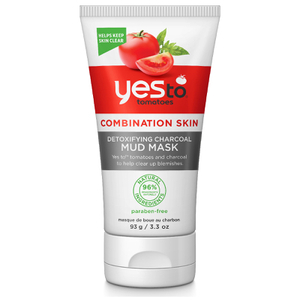 It is safe for use on sensitive skin and contains no parabens, colourants or harsh chemicals. 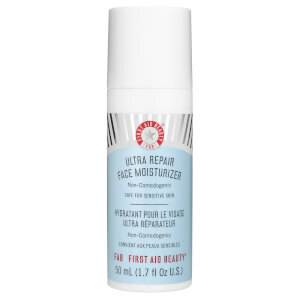 First Aid Beauty Ultra Repair Cream will rehydrate your skin, calm areas of discomfort, and improve the appearance of scaly, dry patches. Use as required. Colloidal Oatmeal, Water, Stearic Acid, Glycerin, C12-15 Alkyl Benzoate, Caprylic/Capric Triglyceride, Glyceryl Stearate, Glyceryl Stearate SE, Cetearyl Alcohol, Caprylyl Glycol, Phenoxyethanol, Butyrospermum Parkii (Shea Butter), Squalane, Allantoin, Sodium Hydroxide, Dimethicone, Xanthan Gum, Disodium EDTA, Chrysanthemum Parthenium (Feverfew) Extract, Camellia Sinensis Leaf Extract, Butylene Glycol, Glycyrrhiza Glabra (Licorice) Root Extract, Eucalyptus Globulus Leaf Extract, Ceramide 3. This is my second purchase of this cream and it has been fabulous. 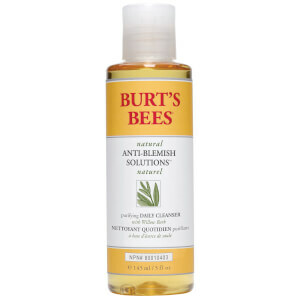 It hydrates and moisturizes to a much needed level daily. My foundation/concealer blends really well on it. I use this in the day and at night. Other than applying on my face, I use it for my neck, arms, palms and anywhere else where I feel that it is feeling parched and dry. This moisturizer has been a treat! I really love this product!! So nourishing and quick drying. I got so dry skin on my feeds due to swelling and this product have done miracles for my skin. I use it both on hands, feed, heels and on elbows. Im gonna re-buy when my first is empty. A fantastic, all rounder. Great for face, body and hands. Have used on all areas of body and enjoyed soothed, hydrated skin. Absorbs quickly, you only need the smallest amount. Skin felt instantly relieved of itchiness or tautness. Will purchase again as don't want to be without this fabulous cream! Having reached that older age in life where I occasionally suffer from misbehaving hormonal skin. I luckily received this in my monthly beauty box. THANK YOU THANK YOU THANK YOU. It calms and moisturises leaving the skin so soft. Have used on my face and body with no issues. To those who mentioned the length of time it takes to absorb, may be you're using too much. Less is more for this product. I think this is a amazing cream which is inexpensive.Moisturizing effect is very outstanding。I will buy it again.And next time i willing to buy big size with FAB other product. I bought this cream for my boyfriend that suffers from redness and dry skin. It doesn't helped with redness just a regular moisturizer not "Ultra Repair"
I have been having trouble with my unhappy skin for a few weeks so decided to give this a try. It has worked wonders on areas of psoriasis I have, virtually clearing them where steroid cream has failed.